There is a difference between challenging yourself once and making it a habit. Habits are like highways for our actions. Once we activate the neural pathway of a habit we act out the action quickly and efficiently without much mental effort. Habits can be good or bad, constructive or destructive, motivating or discouraging. If we want to change our lives for the better, in the long run we need to establish good habits. Otherwise the changes will not stay with us. And good habits usually do not find their way into our lives by chance. We need to actively establish them through a slow and challenging change of our brain. The short answer would be: do the desired action repeatedly while pushing through the challenging times with will power and failing to motivate yourself. I guess everyone has tried this approach before and failed numerous times. To avoid that I want to tell you what I have learned about making habit forming easier. Just knowing that forming a new habit requires a change in the structure of your neurons is motivating to push through initial struggles. 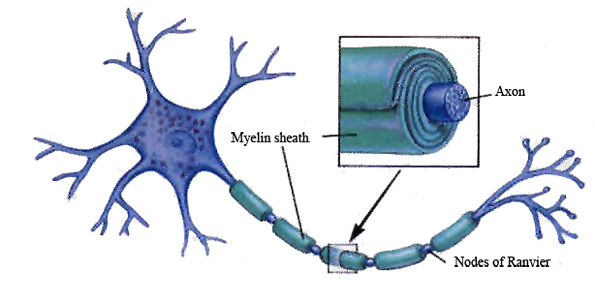 Neurons that are used often become wrapped in myelin. Myelin allows information to travel easier and faster between the neurons. So when you are in the phase of forming a new habit you can look forward to the action getting easier with each repetition. If someone is really good at something, on the level of the brain that means that the associated neurons are able to communicate very efficiently due to thick myelin sheath around the axons in between them. So how can you most efficiently build a nice, thick layer of myelin around the axons required for good habits? You got to find a way that makes sticking to that positive habit easier during the first few days and weeks. Enough until you have reached the point where you can comfortably perform the action. It might even become your preferred choice by that time. Instead of just thinking of it as one big event, split it up into several small steps. Because then your brain starts to associate every step with your desired action. From when the alarm goes off until when you actually leave the house. The small steps will be easy to perform and do not require much will-power. Additionally you can do something to lower the amount of willpower it takes for each step. For example by putting all your sports clothes in place the night before. In the beginning phase it is crucial not to skip one day. 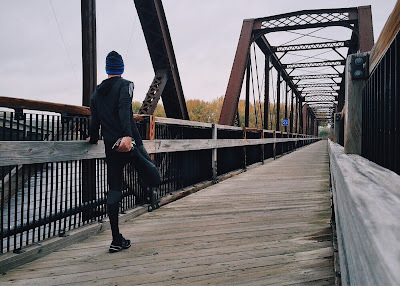 It’s better to just go for a 10 minute run every day than to skip running completely because you set yourself the goal of running for 30 minutes and it seems too demanding. You can adapt this strategy to your own habits and even replace bad habits that way. Combine certain trigger actions with the action you want to form into a habit. Like in the example above. Or even unrelated actions might work: make yourself a cup of tea and start studying afterwards. If you do that always it will become a habit and starting to study becomes easier. Building new positive habits is a challenge. But by turning the knowledge of what a habit acutally is into concrete actions can make the process much easier. Divide habits into several steps of easier actions that require less will power. By repeating the chain of actions over and over the brain comes to expect the procedure and it will require much less conscious effort. You can use this knowledge and probably adapt it to many areas of life.